Here are a few bracelets to get us started. 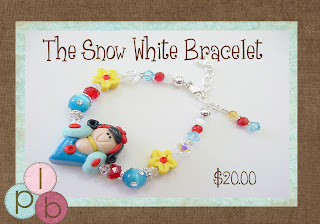 These are my very popular D*sney Princess Bracelets. In addition to these bracelets, I have Tinkerbell, Mulan & Jasmine. These bracelets are all available immediately. 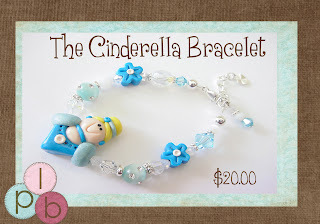 I am taking orders for Ariel & the new Princess Giselle from Enchanted which will be ready in a couple of weeks. Well, we are actually opening a little ahead of schedule. That is really my fault. See I gave my girlfriend Summer a bracelet, and she promised that she was going to put it on her blog, but I didn't think that it would be so soon! THANK YOU SUMMER! You are the best! Summer has been my Go-To girl here in Wichita, Ks and I would be a mess without her! Give me a couple of hours and I will have several of my bracelets, and some that are coming soon up and loaded for sale! Thanks & bear with me because I am new to this whole world of Blogging! Welcome to Princess LuLu's Boutique - Where Every Girl is a Princess! bead mess that was in 2 boxes, we can officially Re-Open our Boutique. 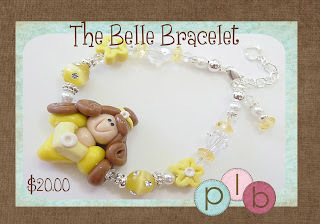 I specialize in Boutique Bracelets & Jewelry, whether it is for your little Princess or the Queen of the house. I use only the best in Swarovski Crystals, Swarovski Pearls, CatsEye & Silver Plate Findings. If there is something that you want, but don't see, email me at gennyclayton@yahoo.com and we will create something fabulous!